Comparing fan motor windings for an air purifier is a crucial element of the appliances’ lifespan. This is primarily because engineers wonder whether the characteristics of aluminum can be compared with those of copper. The answer is yes. There are factors to be kept in mind, depending upon the application of the motor. Both aluminum and copper have similar losses and performance in air. So these aren’t the two factors that can be used to compare the two materials. Here’s what you’ll need to consider while planning to buy an air purifier fan motor online. Aluminum has a lower conductivity than copper. Therefore, to compensate, aluminum wires with large cross-section area (close to 1.6 times that of copper) are used as windings. This offers the same conductance as copper. This is to say that aluminum windings will have larger volume than copper windings. Aluminum wires have to be connected very carefully. If you go back to your high school books, you would remember that aluminum gets oxidized much faster than the other metals. When you make proper connections of aluminum wires, an insulating oxide layer is formed preventing oxidation. To ensure conductivity in case of aluminum, the oxidizing layer of the wire must be thoroughly pierced in order to prevent air from coming in any further contact with the aluminum. Copper is more ductile than aluminum. Smaller motors, with 5kVA and under, must use copper wires to ensure that the wires don’t break during winding, because copper is more flexible and smaller. While aluminum is more economical than copper, it’s not the only thing of consideration when it comes to motors. This is because more aluminum will be required for windings than copper. This probably won’t always be economically feasible. 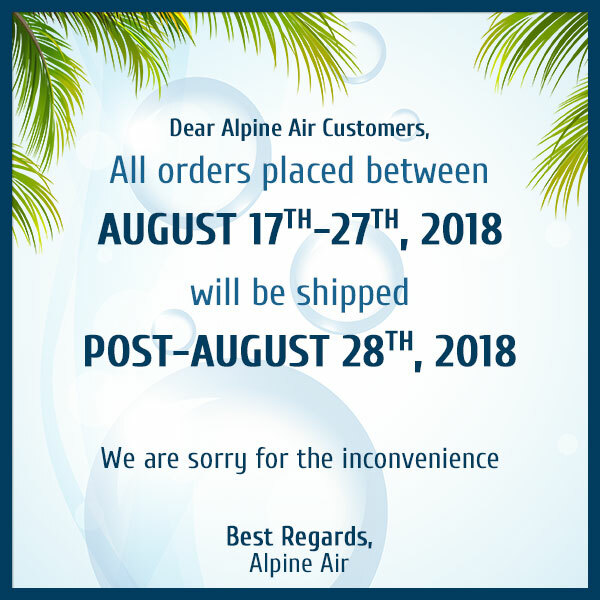 If you’re looking to buy the best air purifier fan blades and motors, look no further than Alpine Air Products. We specialize in providing you the highest quality products, which will also be fairly easy to install, considering the easy to comprehend instruction manual that comes along. Check our products out!